In 2010 when Mr Basurto started teaching at Midvale, Mrs. Enriquez had a stack of boxes that had black binders in them from the University of Arizona Entrepreneur program. Mr. Montemayor had told Mr. Basurto they were given to to TIA from a grant, but they didn’t have anyone that could teach the program and Dr. J really wanted it implemented at some point. So Mr. Basurto took a look at the program and decided to take it on. Originally the program was meant for high school students but the verbiage and tone was for elementary students, so he had to revamp the entire thing as he went through it the first year. He added key elements for public speaking, math and professionalism, which had not been included in the original. Thus, the TIA Business Program for high school students was born, and is now available this year to all TIA high school students at all campuses.. Initially, this program teaches the students to look at the world around them and come up with ideas of something that they can make better. Whether it’s a logistics problem they can solve, an environmental problem or a social one, the students work in small groups of four or five and hash out ideas to make their business come to life. 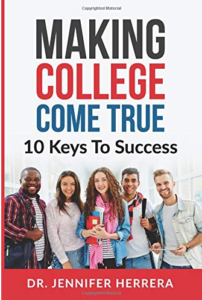 However, the teachers didn’t want it to be something that just anyone can do, say, at DECA (another program preparing emerging leaders and entrepreneurs students to be college and career ready). They wanted to give it that “something extra” that TIA demands from students and that’s presenting in Chinese, Spanish, and English. Yes ALL students must present in 3 different languages! CEO – The leader of the group. ALL successes and failure falls upon this individual. From day one of the program, the CEOs learn to delegate responsibility and hold members accountable for getting work done on time and in a manner that suits their company. WEB DESIGNER – This person is in charge of building the website through wix.com, making sure that it meets requirements of professionalism, videos, pictures, info about product and company, company culture, and the five year plan. He or she has NO helpers. ACCOUNTANT- This person develops all initial cost plans and budgeting plans for the business based on research. He or she is in charge of creating a five year plan for the business that is attainable and that the group understands. MARKETER – This person is in charge of the business pitch, pamphlets of company and product (in three languages), and look of the product. He or she is also are in charge of working with the Accountant to create the five year plan and projected business sales. After all this is established and the students are working on their idea, they have to prepare for talking to people about their major competitor and their own product for the month of November. They use a test called NPS (Net Promoter Score). Each student must talk to 50 people and find the score of their competitor in terms of customer loyalty and receive feedback on their product. What Happens When the Project is Done? During the month of December students are preparing their resumes, developing their sense of professionalism, and learning their business pitch in three languages; Chinese, Spanish and English. The second week in December is “Business Week.” All students in the business classes, grades 8-12, are required to come to school in business attire, boys in suits and ties, and girls in appropriate business dress. Everyone works on their resumes. On Friday of that week they have “Interview Day,” where business owners whose families attend TIA and Juan Ciscomani, Director of Southern Arizona Office at Arizona Governor’s Office, bring in business professionals from the Hispanic Chamber of Commerce to interview the students. Some students receive internships and some receive jobs. It is a time for the students to see what they are going to TIA for, while at the same time building skills they need when they enter the workforce. Third Day: English – EVERYONE attends to listen, ask questions and take lots of pictures. One of the hardest things students have to deal with is working with the same group for the whole semester; they learn to respect each other more because they can’t just leave their group and work with someone else if they don’t particularly like someone in their group. Learning to go through the hard times as well as the good time helps them build their own family under their own corporate rules. The students are always amazed in December by how much they have grown. They are better in Math and English because they are applying everything they are learning in those subjects to help them succeed in front of real professionals that they would like to work with some day. 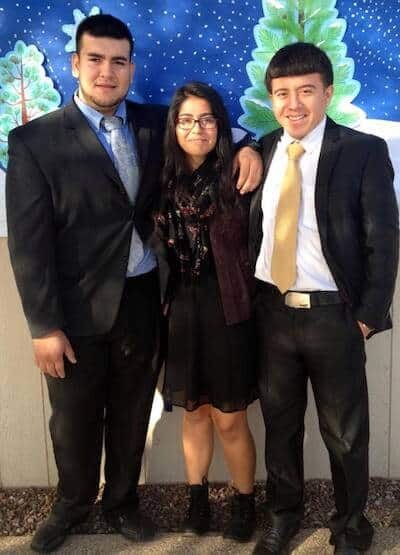 As a result of Interview Day, Armando Valenzuela, a senior at TIA, received an internship to work at Jim Click Automotive, a huge automotive dealership in Tucson, during the summer of 2015. Not only did he do a great job in his interview, but during his internship he was given a second interview with Jim Click and some other important men. Armando has been given a full-time job at the dealership with salary, benefits, and a scholarship to keep him in school at the University of Arizona. He is the youngest working tech at the dealership and he didn’t even have to start at the bottom because of the way the TIA business program taught him professionalism, how to present himself, and how to stay dedicated to his team of techs at work. What a wonderful success story to show how this Business Program for high school students at TIA is working! Enroll your student today at TIA!